During her many years in the visual arts, particularly printmaking , Élisabeth Dupond has mounted more than 20 solo shows and has participated in numerous group shows at both the local and international level. She has been artist-in-residence (Montréal, Vancouver and Moncton) and has earned several awards including Third Prize at an international digital art exhibit at the Centre d'Artiste Voix Visuelle in Ottawa (2009), as well as the City of Montréal prize for printmaking in the contemporary art category of t Read Morehe competition Le Nouveau Monde (1992). Her work can be found in public, private and corporate collections (Canada, France, Italy, Poland, Macedonia and China). 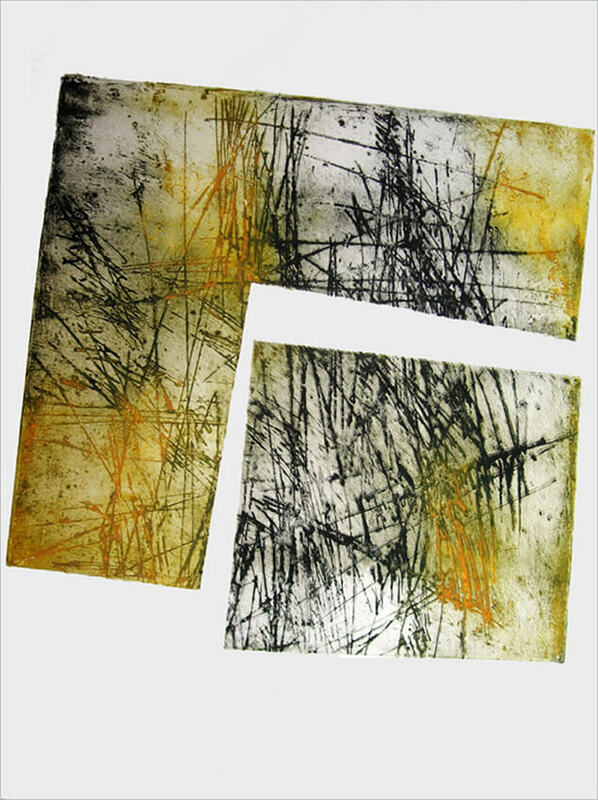 With a diploma in printmaking from Montréal’s École des Beaux-Arts and a master’s degree in visual arts from the Université du Québec à Montréal, she has frequently served on juries and organized group art projects including exhibits and art books. Her knowledge and use of various printmaking techniques have led Élisabeth Dupond to a mixed practice, closer to movement and to the material than to theory, in which she attaches a particular importance to the transformation of the space. She lives and works in Montreal.